TSN: Darren Dreger on TSN 690 said that it’s not going to be easy for the Tampa Bay Lightning to upgrade at the trade deadline given their $1.7 million in salary cap space. They don’t have any big holes that need to be filled and they can look for some added depth. 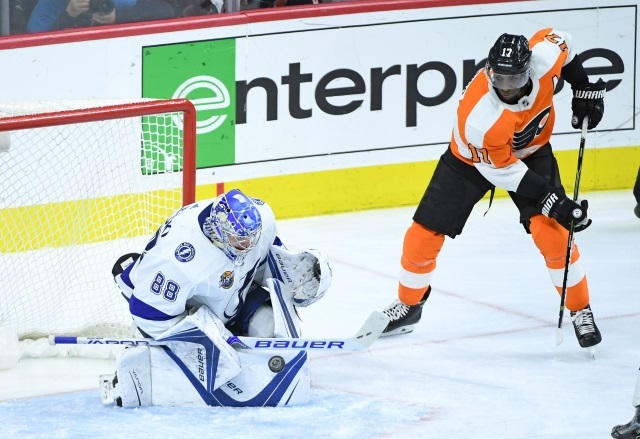 Dreger believes that they have inquired about Philadelphia Flyers Wayne Simmonds and Carolina Hurricanes Micheal Ferland. Adding a power forward that can play in their top-six/nine would be a huge asset. Not sure if the Lightning would want to do that but they would be interested in that type of player or a No. 7 or 8 depth defenseman. TSN: Darren Dreger on TSN 690 said that the Colorado Avalanche will be looking to add some more offense and could get into the rental market. They need more offense at forward. Dreger wonders if GM Joe Sakic would get into trade talks and willing to pay the price for Columbus Blue Jackets pending UFA Artemi Panarin. The Avs obviously won’t be going down the Matt Duchene road, but what about Ryan Dzingel if he doesn’t re-sign with the Ottawa Senators. The Senators may now be looking to extend Dzingel, but if they don’t like the numbers he is after, they could move him.